You used your acne medicine for weeks (or months) without fail. And you were rewarded with clearer skin! You were super glad to finally put those acne treatments on the shelf and forget about them. But as soon as you stopped using your acne medicine, the pimples came back. Did the medication not work properly? Is your acne medication just not effective? 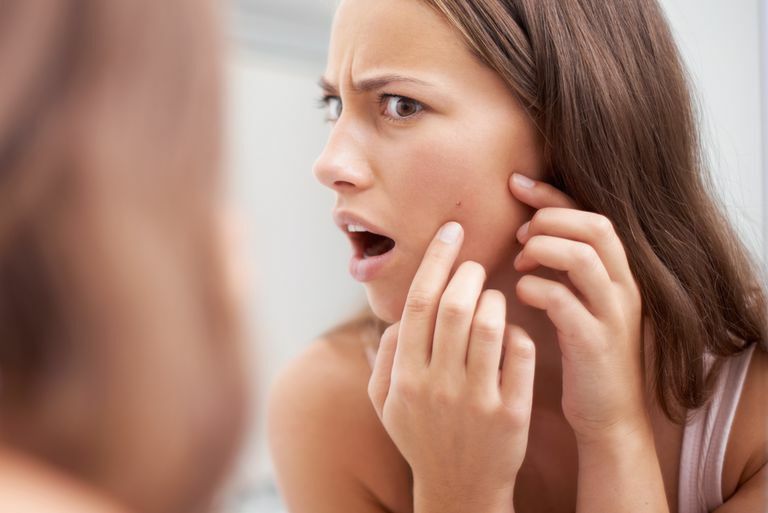 Why do the pimples come back when you stop using your acne treatment? Most people anxiously await the day they will no longer have to use their acne medications. Unfortunately, stopping treatment usually means a return of pimples. This doesn't mean that your medication isn't working. In fact, if you've had a significant clearing, your medications are actually working quite well. Acne treatment medications don't cure acne, and they don't stop the factors that cause acne in the first place. Instead, they just control these factors to keep breakouts at bay. Acne is caused, in general, by an overabundance of oil, dead skin cells, and acne-causing bacteria within the pore. Acne treatment medications work by reducing oil and bacteria and help keep pores cleared of dead skin cells. But acne medications don't change the way your skin behaves. If treatment is stopped, the pores become impacted again and breakouts return. To keep pimples from coming back, you'll have to keep using your acne medications even after your skin is clear. The notable exception to this is isotretinoin. This medication is the closest thing we have to an actual acne "cure." You'll only use isotretinoin for a specific amount of time. Most people only need one or two courses of treatment with this medication. Once acne is gone, it's typically gone for good. All other acne treatment medications, whether over-the-counter or prescription, will need to be used continuously to keep acne from coming back. This means you'll be applying your benzoyl peroxide, topical retinoids, topical antibiotics (or whatever treatment you're currently using) over clear skin. This is what will keep your skin clear. Once your acne is significantly cleared, though, you may be able to cut back on your treatments. For example, instead of applying your salicylic acid twice daily you may be able to scale back to a once-a-day application. Or you may drop your oral antibiotics and continue using Retin-A Micro alone. So to keep acne clear, you're going to need a long-term treatment plan. If your acne is mild, and you have gotten good results with over-the-counter acne treatment products, then you should continue to use those products as part of your daily skincare routine. If you've been using prescription acne medications, your dermatologist will help map out a treatment plan that will help maintain your hard-won results. Don't change how you use your prescription medications without first talking with your dermatologist. Baldwin HD. "Pharmacologic Treatment Options in Mild, Moderate, and Severe Acne Vulgaris." Seminars in Cutaneous Medicine and Surgery. 2015 Sep;34(5S): S82-S85. Webster GF. "Isotretinoin: Mechanism of Action and Patient Selection." Seminars in Cutaneous Medicine and Surgery. 2015 Sep;34(5S): S86-S88. Whitney KM, Ditre CM. "Management Strategies for Acne Vulgaris." Clinical Cosmetic and Investigational Dermatology. 2011;(4)41-53. Zaenglein AL, Pathy AL, Schlosser BJ, Alikhan A, Baldwin HE, et. al. "Guidelines of Care for the Management of Acne Vulgaris." Journal of the American Academy of Dermatology. 2016;74 945-73.